EMMETSBURG, Iowa, August 21, 2014 (ENS) – His Majesty Willem-Alexander, King of the Netherlands, has announced that he plans to attend the opening of an Iowa cellulosic ethanol plant co-owned by a Dutch company. The POET-DSM Advanced Biofuels’ Project Liberty cellulosic ethanol plant will have its ceremonial grand opening in Emmetsburg, Iowa on Wednesday, September 3. The first facility of its size in the United States to produce ethanol from crop residue, POET-DSM Advanced Biofuels is a joint venture between the U.S. company POET, based in Sioux Falls, South Dakota, and the Dutch biotechnology company DSM. The $250 million commercial-scale ethanol plant will process 770 tons of corn cobs, leaves, husks and stalks annually to produce 20 million gallons of cellulosic ethanol per year at first. When fully operational, the plant will be able to produce up to 25 million gallons per year. Currently in Emmetsburg, Project Liberty plant personnel are running biomass through the pretreatment process and preparing for the first gallons of ethanol. The grand opening is a public event that will feature plant tours, a formal ceremony, a flyover by the ethanol-powered Vanguard Squadron, booths, entertainment and more. The public is invited to attend, and lunch will be provided. The King plans to perform the formal opening ceremony and take a tour of the plant. Project Liberty provides an innovative technological solution to the current increasing demand for energy and the associated pressure on the environment, said the King said in a statement Thursday, announcing his plan to attend the grand opening. 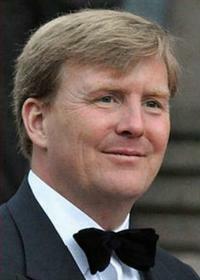 Willem-Alexander has long been concerned about environmental sustainability, taking a particular interest in water issues. “This new technology is implemented here for the first time on this scale and is about to be applied worldwide,” the King said. 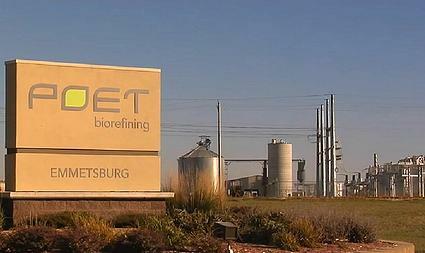 Based on the Project LIBERTY plant, the joint venture plans to globally license an integrated technology package for the conversion of corn crop residue to cellulosic bio-ethanol. The technology will also be used in POET’s existing network of 26 corn ethanol plants. The joint venture already has been recognized for its contribution to long term development of the biofuels industry worldwide. At the prestigious Sustainable Biofuels Awards 2013 ceremony held in Rotterdam, the Netherlands, the POET-DSM partnership was presented with awards in two categories – the Global Deal of the Year and the Partnership of the Year. The joint venture has a critical mission: to make cellulosic ethanol competitive with corn ethanol. Cellulosic ethanol is made from the woody and fibrous parts of plants, including corn cobs, stalks, leaves and other residue. Production of ethanol from the lignocellulose in this biomass has the advantage of abundant raw material compared to sources such as corn and cane sugars, but requires more complex processing to make the sugar monomers available to the microorganisms used to produce ethanol by fermentation. According to Michael Wang of Argonne National Laboratory, one of the benefits of cellulosic ethanol is it reduces greenhouse gas emissions by 85 percent as compared to gasoline. By contrast, corn-based ethanol, which most often uses natural gas to provide energy for processing, may not reduce greenhouse gas emissions at all depending on how the starch-based feedstock is produced.